Good morning lovely people. It’s Monday and time for another new week to get started. I hope you all had a great weekend. Mine was very chilled, and it gave me time to reflect on last weekend’s crazy and fun antics! 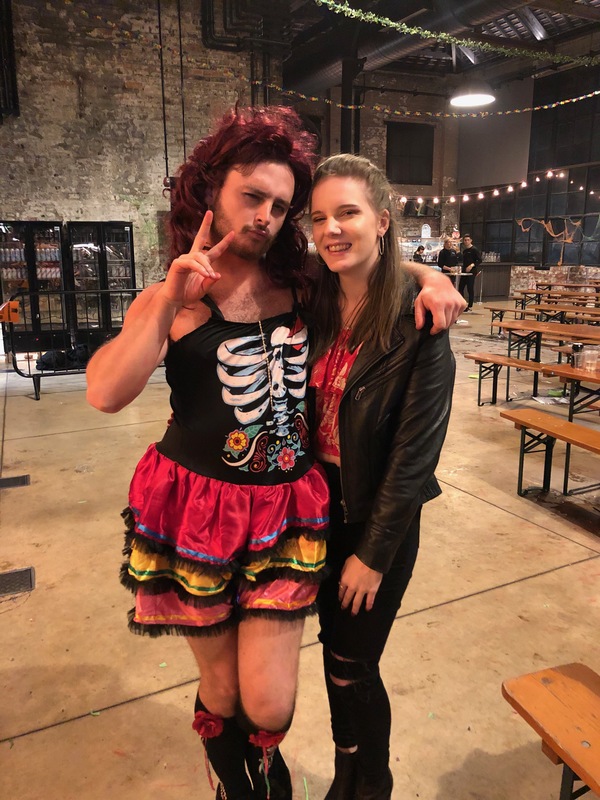 Last weekend, I was very kindly invited to Bongo’s Bingo at the Boiler Shop, Newcastle. 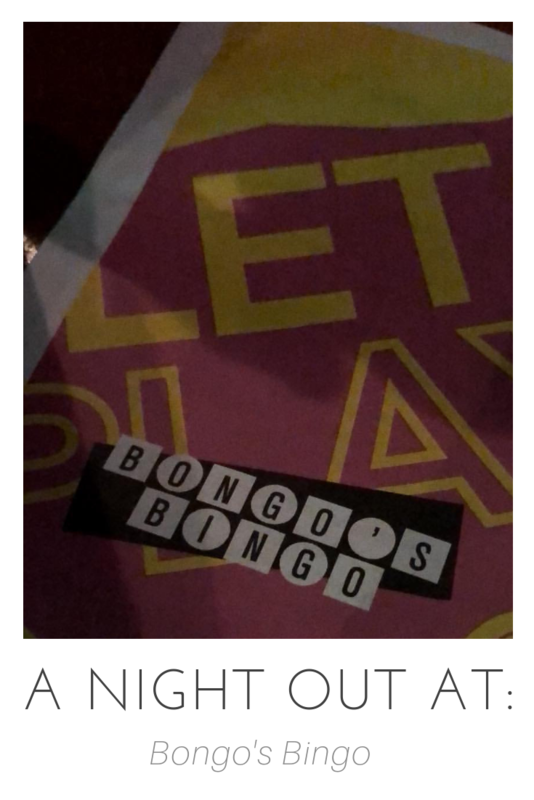 If you haven’t yet heard of Bongo’s Bingo, then I need to ask – have you been living under a rock? The whole country seems to be going mad for it at the moment. Everyone I know seems to be talking, and raving (pardon the pun! ), about it. I’ve tried many times before to get tickets to the shows but, in true Geordie fashion, tickets sell out in under 5 minutes. Therefore, when I was asked along, I absolutely couldn’t miss the opportunity. As it was Day of the Dead themed, we were slightly worried we’d stick out like sore thumbs in the crowd but we were pleasantly surprised to see less people in fancy dress than we expected. So, if you’re off to a themed night, don’t worry if you’re not the fancy dress type. There’ll be plenty other people who aren’t either. People travel from all over the North East to join Mickey Pickles and his wonderful dancers and with the Boiler Shop being just behind Central Station, it’s easy to get to for everyone. We got there around 6.40ish, but the queue was already backed around the corner despite the doors only opening at 6.30pm. A lot of that was to do with the bag searching on the way in, but I do recommend getting there as early as possible. There aren’t set seats, so the earlier you get there, the better seats you can get. I’m sure you don’t want to miss Thirsty Thelma’s sultry moves! We ended up near the back, by the bar (which we were absolutely fine with, of course), and by the time we’d got our drinks in (£4.50 per can or £16 per 4 pack), the countdown had begun. As it closed on zero, you could sense the anticipation and excitement building and building. Once it hit zero, everyone, and I mean EVERYONE, was up on the benches dancing away to the music. 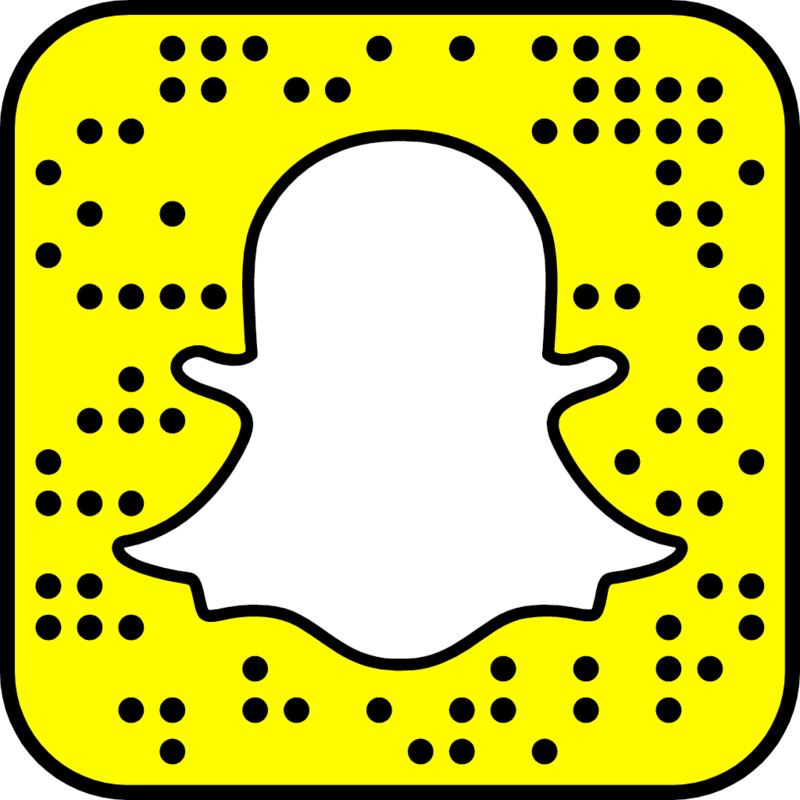 Although plenty of my friends and other NE bloggers had been and I had seen the Snapchat and Instagram stories to boot, I still wasn’t quite sure what to expect. What I did expect, however, was bingo (obviously) and a whole lot of fun so I certainly wasn’t disappointed. So, besides the inevitable bingo, what can you expect from a Bongo’s Bingo night? Amazing atmosphere: From the minute you step inside the door to the moment you leave, the atmosphere is electric. The infectious buzz makes everyone want to join in (and no that’s not just the alcohol!). Music mix: From Thriller at the end of the countdown, to Christmas songs, to Irish dancing, to baby shark, there is music for everyone to love and dance the night away to. Definite dancing: Be prepared to become a yo-yo! From the introduction of Mickey Pickles and his dancers, to mid-bingo, to each prize-winner, you’ll be jumping up on the bench to dance away more times than you thought possible for a game of bingo! Lotsa laughs: Between punching politician cardboard cutouts, the inevitable laughs amongst your friends, and Mickey Pickles’ banter, your ribs are sure to be hurting by the time you leave. 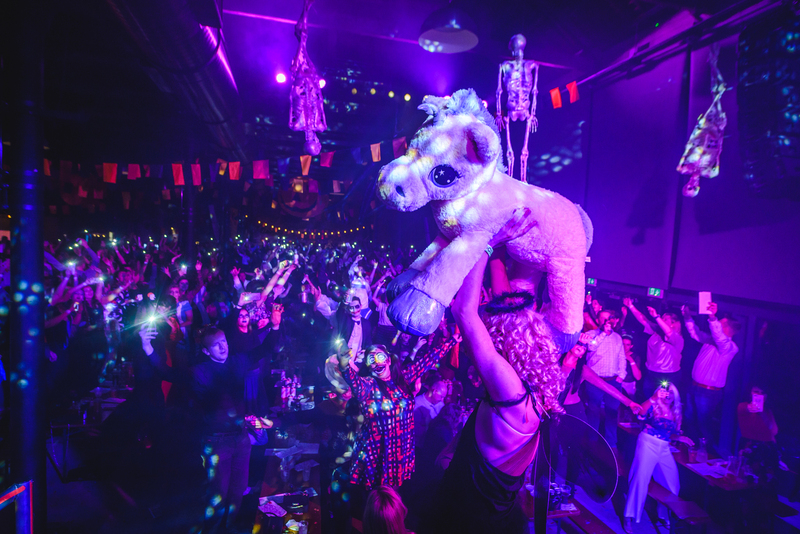 Plenty prizes: I can’t guarantee you walking away with anything at all as per any bingo game (even we didn’t), but at Bongo’s Bingo you can anticipate the possibility of a green Henry Hoover, a selection of alcohol, a giant unicorn and the much-loved cash prizes. In a one off special, we were treated with a guest appearance by CASCADA! Talk about rolling the years right back to middle school? The performance didn’t interrupt the bingo shenanigans but the anticipation of a Cascada appearance was brilliantly built up throughout and you could sense the excitement of everyone ready to unleash their inner 15 year old selves. Cascada came out at the end of the show with a brilliant performance of her best songs including Evacuate the Dance Floor, Because the Night and, the infamous, Everytime We Touch. It was the perfect way to close off the night. She is just one of many to grace the Bongo’s Bingo stage with the likes of Venga Boys having already performed and 5IVE! and S CLUB to appear later this year. So, if this sounds like your type of night out, then be sure to get in quick with the tickets that go on sale tonight, at 6pm, for January’s shows here. 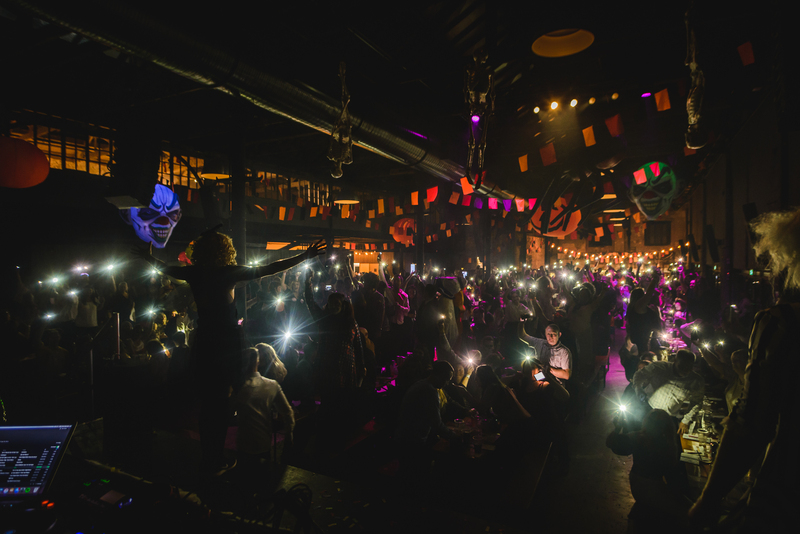 The opening Bongo’s Bingo shows of 2019 are taking place on 11th, 12th, 18th, 19th, 24th, 25th and 26th January. And, speaking of special guests, for any Blazin’ Squad fans out there they’re performing in THREE shows on Thursday 31st January, Friday 1st and Saturday 2nd February. All-in-all, it was certainly a night to remember, and we’re already on the look-out to go again very soon! Have you ever been to Bongo’s Bingo? Did you love it as much as us? Or are you looking to go? Let me know in the comments below!